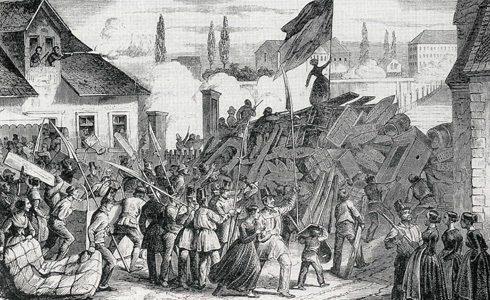 Most people know about the bloody revolution that overthrew the monarchy in France, but not everyone knows the gory details. There is more than meets the eye to this legendary event in european history. The subject matter I am going to discuss may upset people with weak stomaches and sensitive dispositions. You were warned! 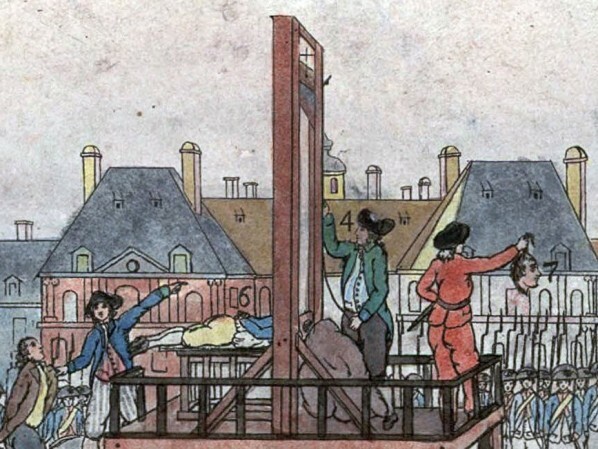 La Guillotine became the infamous torture device that would become the one player in the Revolution to outlive them all! Originally created by a French surgeon and a German engineer, it was popularized during the French Revolution as an equalizer. Before the Revolution, the poorer you were, the more gruesome your execution was. 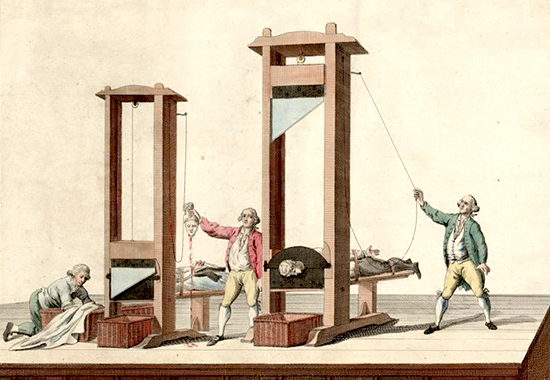 When the monarchy was overthrown, the Guillotine became the “humane” way to execute everyone, making them all equal in death. It may seem odd, but this was one of the justifications for the reign of terror, leading to the death of around 20,000 people. At least 3000 of those were executed in the heart of Paris on the Place de la Concorde. In fact, there were so many executions that they needed to constantly move the Guillotine to stop it from sinking into the soggy ground. ….you can imagine the rest. 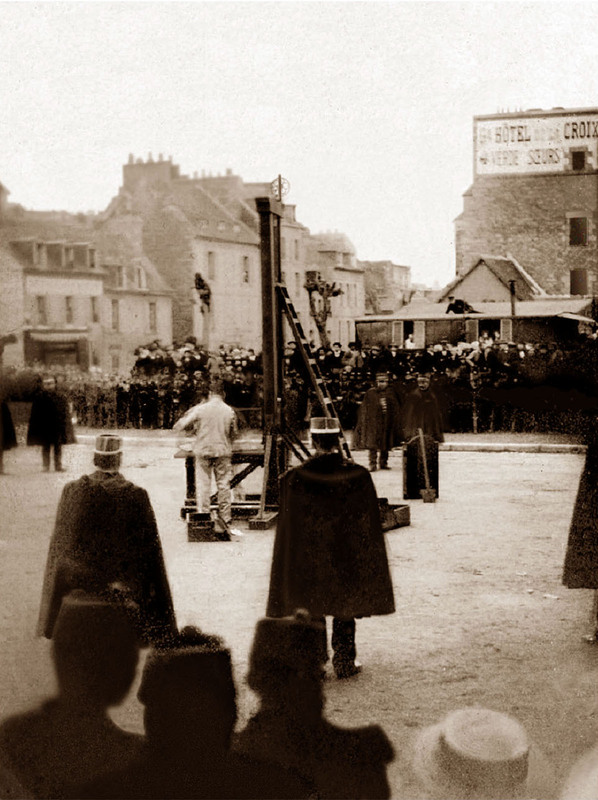 What makes this all so intriguing is that the French government still used the Guillotine as a public form of execution until 1939. The last private one was in 1977! That is truly keeping their bloody past alive! Joking aside, French Royalty were in pretty big trouble by the time the Revolution came around. Because they were spending more than they could afford and letting poor people starve to death. The French Royalty were spending more than they could afford! France was broke after being involved in two expensive wars – the 100 Years War and the American Revolution. Yet they were still building castles and having feasts. This was in contrast to the general populace who were starving! Natural disasters and bad weather lead to a really poor crop yield that year. This nearly tripled the price of every day bread, meaning that only the rich could afford to buy it. I am here to debunk that rumor. She never said that and there is no proof that she ever did. The quote comes from the Confessions by French writer Jean-Jacques Rousseau in which an anonymous noblewoman vents. The book was actually written in 1778 – a whole year before she supposedly said it. All were not equal. The lower classes were 98% of the population, but they had no power in comparison to the nobility and the clergy. These three factors created a ticking time bomb that only needed a little nudging for an explosion! If you’re ever in Paris and interested in seeing remains of the city from the French Revolution then I would definitely suggest wandering around the Latin Quarter. Well, Paris had a major revamping in the 1860s, making it the uniform like city that we know today. Before that, the city was still in the medieval state with narrow and winding streets. The problem with that layout was that it allowed the city to be very dirty, facilitating the spread of crime and disease. During the French Revolution, these narrow streets also made it very easy to create a barricade. Thus the success of the Jacobins!